Unless your hair is extremely protein sensitive, I truly believe this is a product any curl type and texture can benefit from, so I want to tell you more about it! The Ouidad Curl Restoration Therapy Deep Treatment has been a Holy Grail of mine for nearly a decade now. No matter what other products I try and test, I always go back to this. I have been using the deep treatment through several label and name changes, but thankfully the magical formula inside always remained the same. Unless your hair is extremely protein sensitive, I truly believe this is a product any curl type and texture can benefit from, so I want to tell you more about it! The Ouidad Curl Restoration Therapy Deep Treatment is full of amino acids and proteins that help rebuild the hair and make it strong while improving its elasticity and definition. It also works to fight frizz and increase shine. You only need to add heat to the treatment for 12 minutes, although I do leave it on for up to 30 minutes sometimes. Another important note regarding this treatment: since it is protein heavy to repair the hair, you must seal it with a moisturizing, nourishing conditioner. You can really use any brand for this step, but I fell in love with using the Ouidad Curl Immersion Triple Treat Deep Conditioner on top for maximum moisture and replenishment. Not using something moisturizing on top of the Restoration Deep Treatment may result in your hair feeling a bit stiff due to protein overload. I cleanse my hair using a clarifying shampoo to remove any product or build-up so the treatment can really penetrate in my cleanest, purest hair possible. I usually go with Ouidad Superfruit Clarifying Cream Shampoo because although it clarifies, it is still sulfate-free and does not dry out my hair. Plus, it smells like berries! I generously apply the Curl Restoration Therapy Deep Treatment section by section for seven sections total, making sure to fully saturate my strands. I twist each section up into mini buns before sitting under my tabletop hood dryer for somewhere between 12 and 20 minutes. 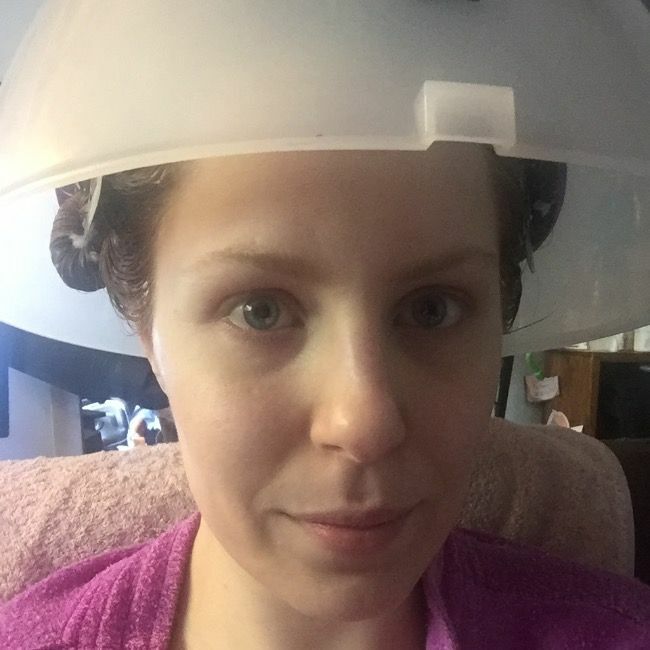 Sometimes, if parts of my hair do not feel warm, when I take out my mini buns I will hit the length of my hair with my regular dryer to ensure all my hair did get heat for the treatment. With the Curl Restoration Therapy Deep Treatment still in my hair, I apply the moisturizing conditioner, mostly Ouidad Curl Immersion Triple Treat Deep Conditioner, on top and let the combo sit anywhere from 20 minutes to an hour depending on how much time I have. I get back in the shower and rinse most of it out with cool water, leaving some in especially on my ends. It depends on how my hair is behaving and time of year. On average I use it about twice a month regularly, but I generally listen to what my hair is telling me it needs. 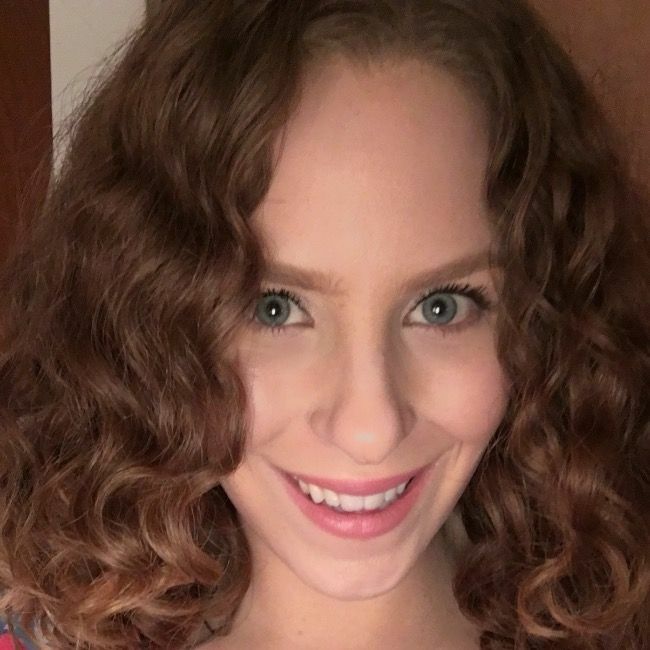 Some signs that tell me it may be time to use the treatment include extra frizz that cannot be tamed, brittle 'hay-like' ends even if I am not due for a trim, my hair feeling dry despite conditioning, and my wave pattern just overall being unmanageable. It is also important to mention that with this treatment, or any treatment using heat, you do not want to use it three days prior or ten days after getting color put into your hair. I have not colored my hair in 1 year and 9 months so now I do not have to worry about that. If you use the heat too close to your protein treatment it may affect your color since it opens up the cuticle for the treatment. Note: This post is not sponsored or endorsed by Ouidad in any way, shape or form. 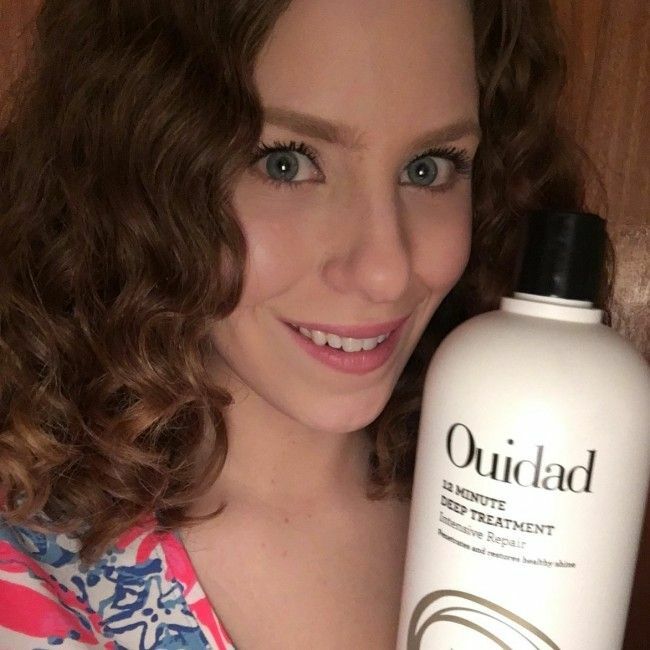 Ouidad just makes some of my favorite curly products! 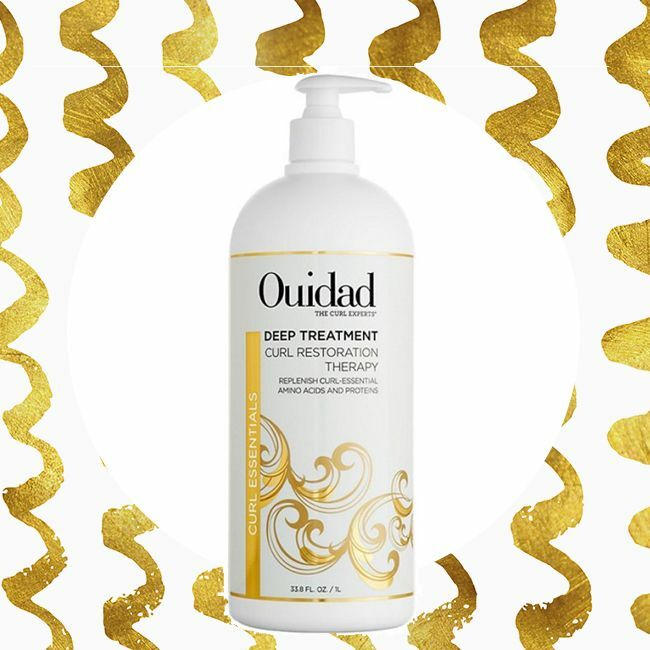 Have you tried the Ouidad Deep Treatment Curl Restoration Therapy yet? Share your thoughts below! Visit my personal hair and beauty blog, Diane Mary Beauty and Instagram. Read Diane Mary's updated hair vitamin ritual. Still on the search for wavy products? Here are a few of our favorites.